Panama is the southernmost country of Central America situated on the isthmus connecting North and South America (75,500 km² - 3.5 million inhabitants). The country is bordered by Costa Rica to the northwest, Colombia to the southeast, the Caribbean Sea to the north and the Pacific Ocean to the south. The Capital is Panama City. 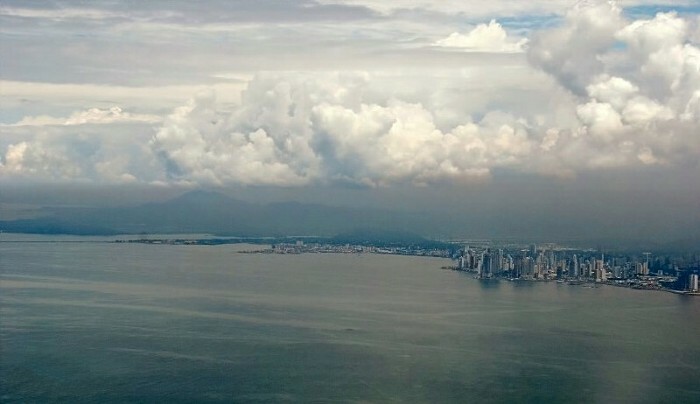 The images in this gallery were taken in Panama City and from airplane window during take-off from Panama City airport.